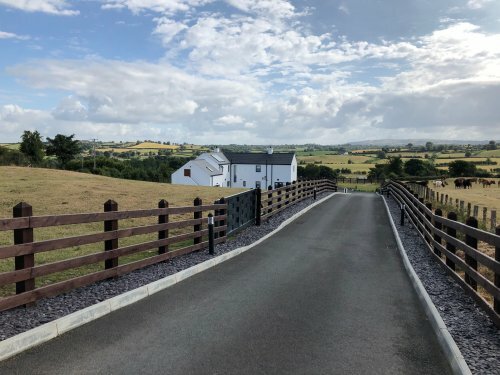 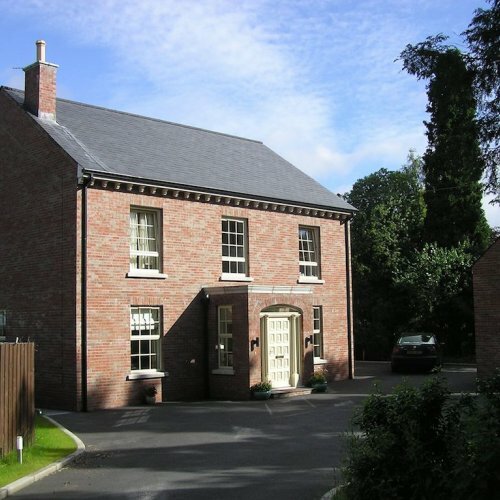 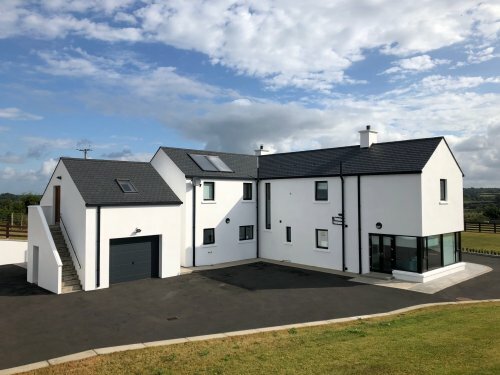 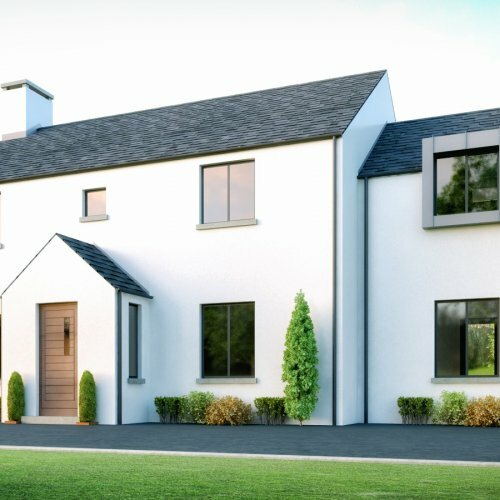 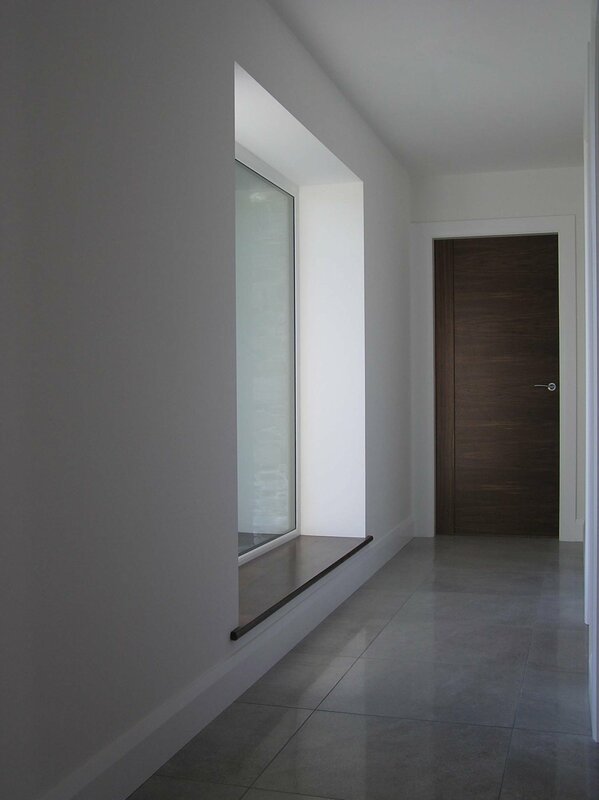 This contemporary new dwelling incorporated the highest standards of construction in order to provide an extremely airtight and highly insulated envelope. 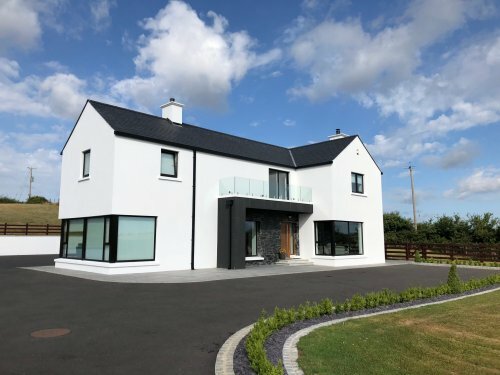 Underfloor heating throughout is via an air source heat pump which yields greatly diminished heating bills from typical oil or gas boiler systems. 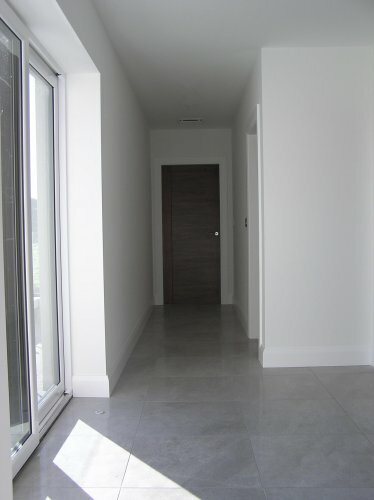 All hot water is provided from solar hot water panels. 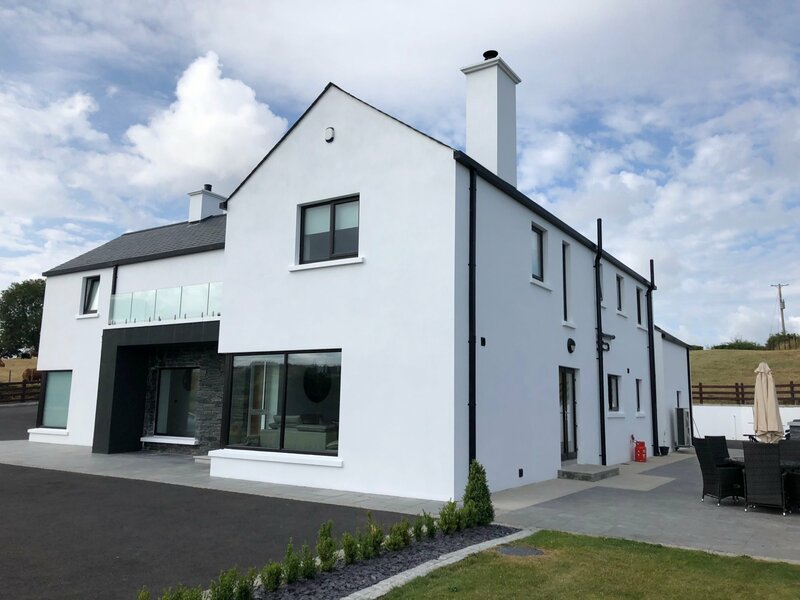 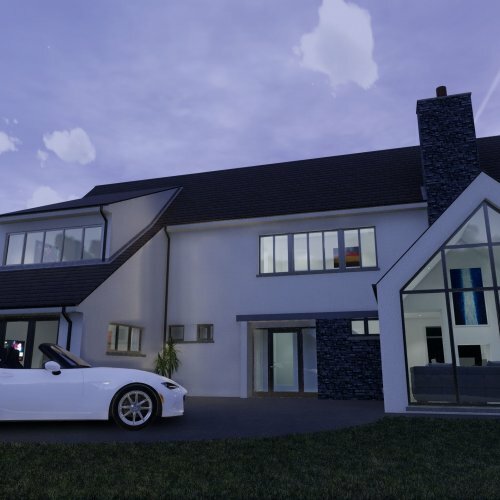 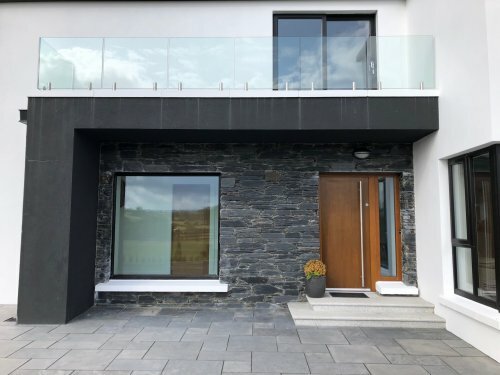 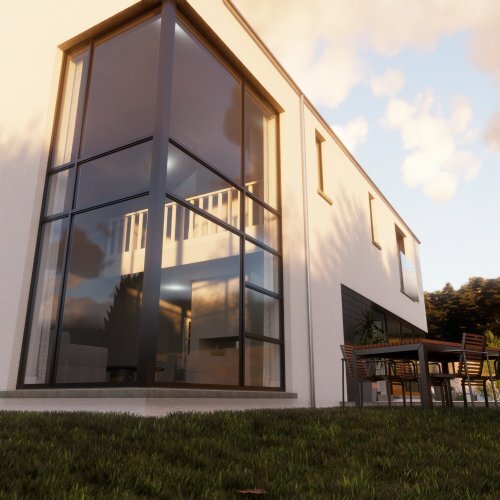 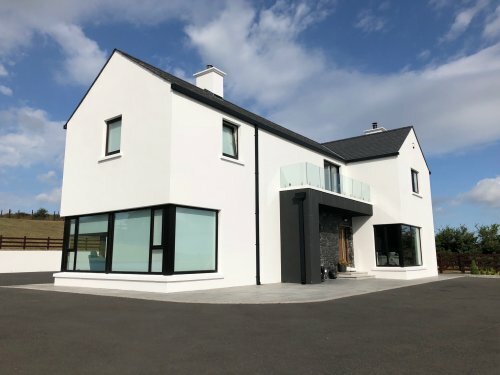 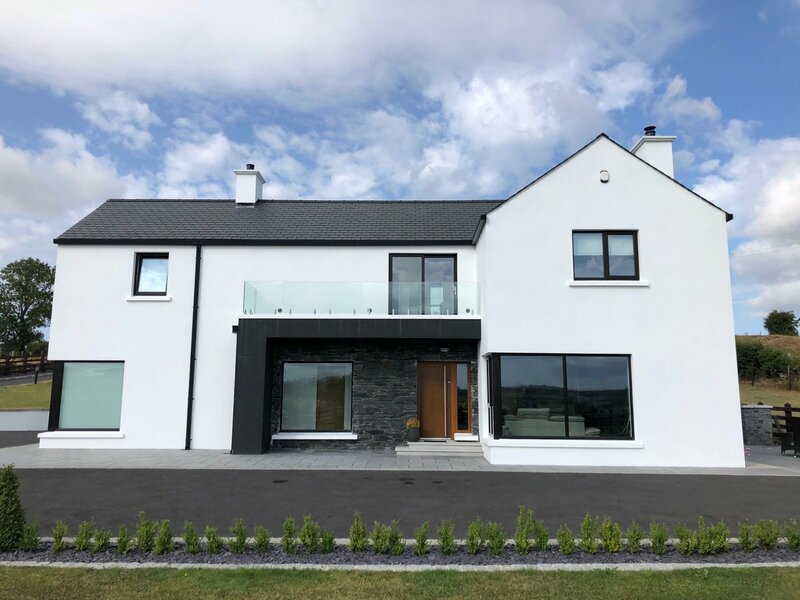 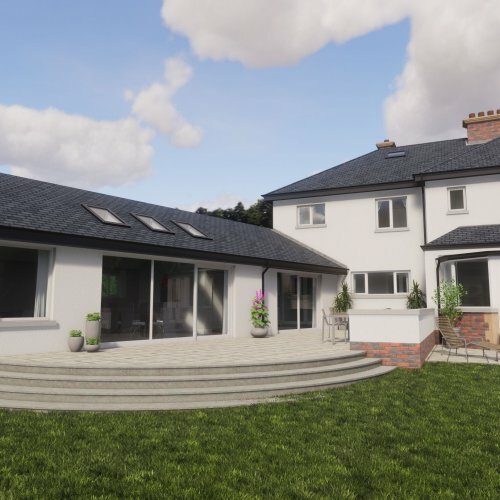 A very limited palate of materials was incorporated both internally and externally including natural stone cladding, porcelain tiles and toughened glass balustrading to help create an elegant and unfussy family home. 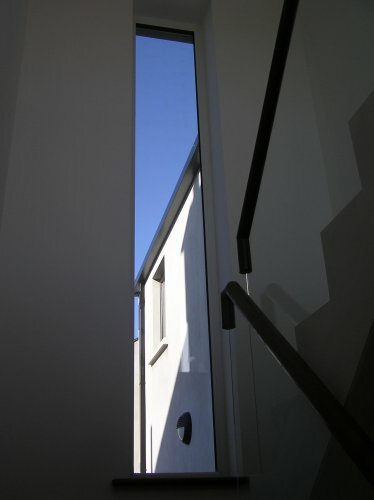 We found David Maxwell Architects extremely enthusiastic, understanding and determined. 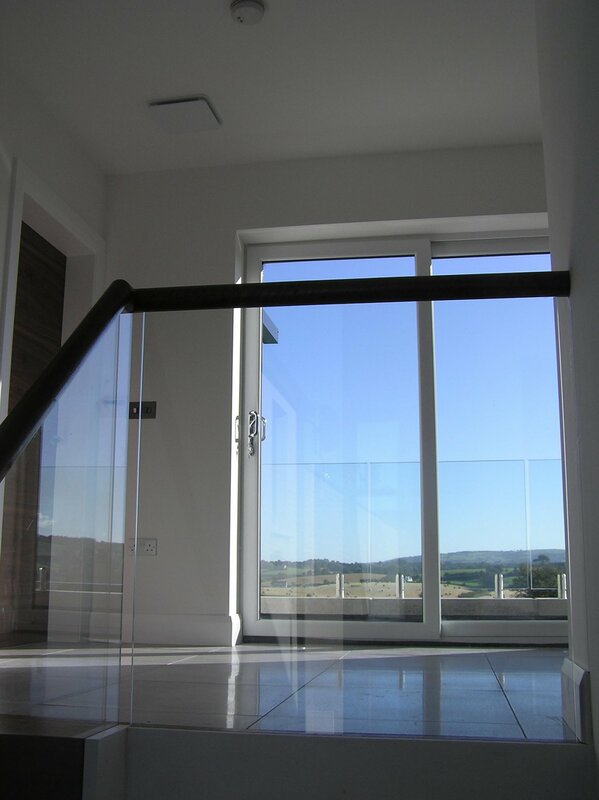 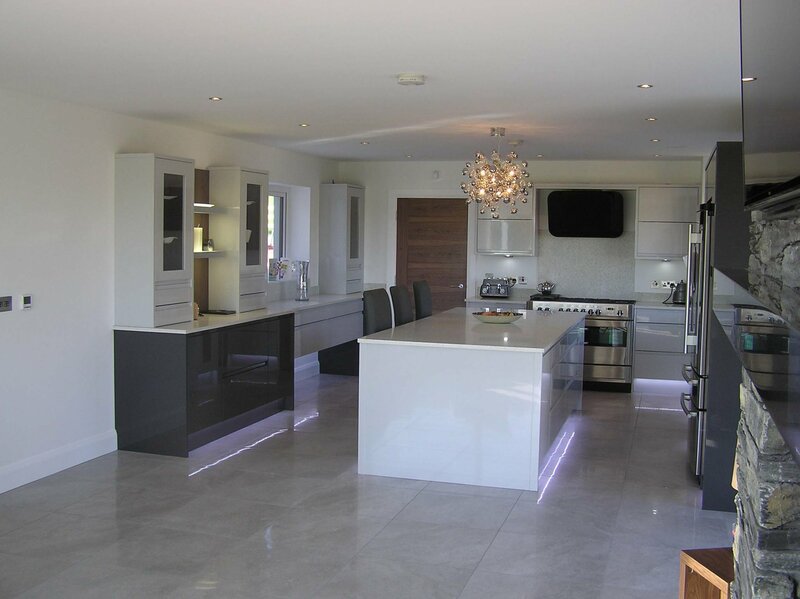 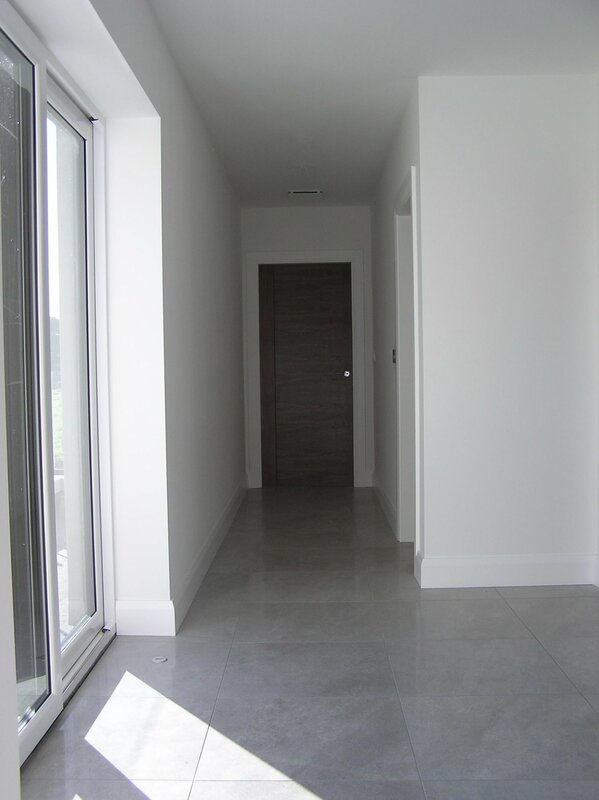 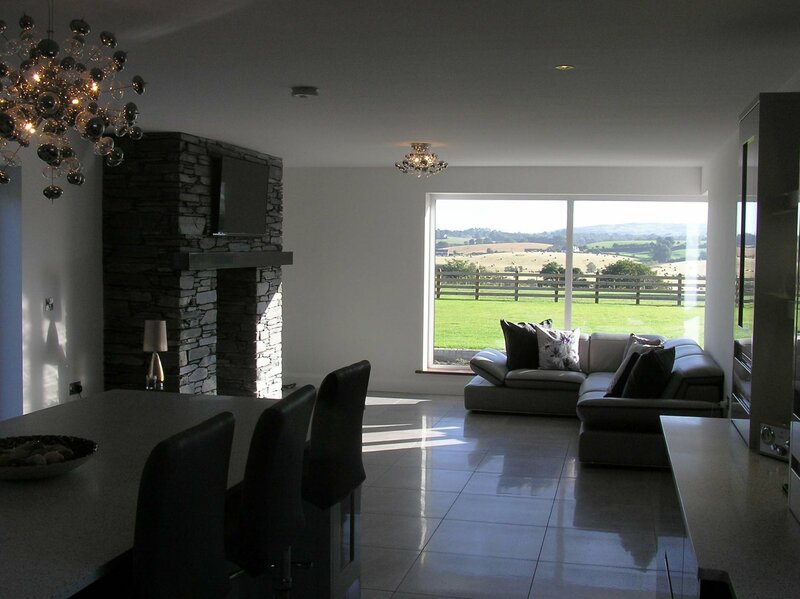 They provided an impressive service and ultimately delivered for us a modern, spacious and inspired family home. 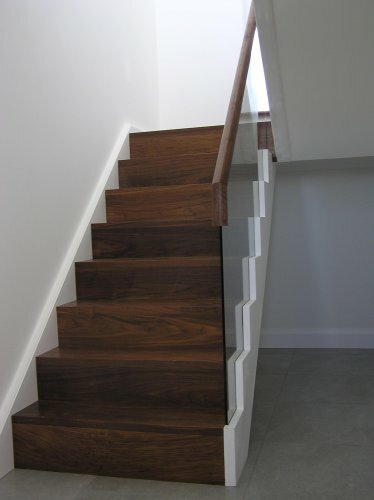 Would highly recommend.